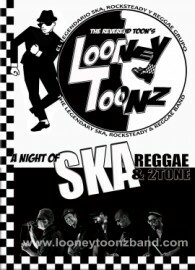 The Legendary 'Looney Toonz', as seen on TV. Ska and Reggae delivered just as it should be. Looney Toonz are specialists of Ska, Reggae and Rocksteady music, from it's early beginnings to the unforgettable 80's and those great 2tone sounds. Songs from Madness, The Specials, Bob Marley, Sugar Minott, Bad Manners, The English Beat, Ken Boothe and so many more bring audiences to the dance floor and keep them there! Please note that 'Looney Toonz' are professional musicians, an International band available to work worldwide. 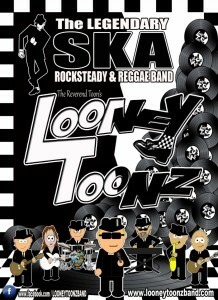 Formed in Sept 2008 by The Reverend Toon, Looney Toonz has fast become one of the foremost Ska, Rocksteady and Reggae bands in Europe, performing and often headlining large Ska driven events, scooter rallies and music festivals. 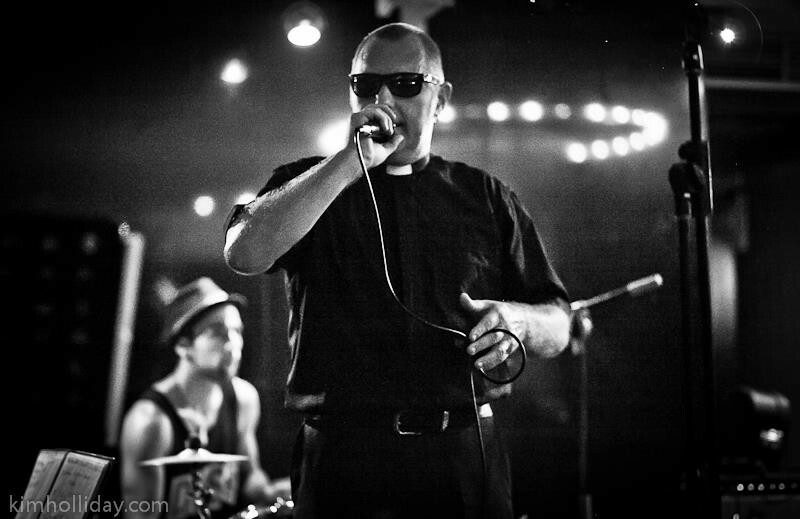 Inspired by 'The Specials', 'Bad Manners', 'Toots and the Maytals', 'Prince Buster', 'Bob Marley', 'Selector', 'The Beat', 'Desmond Decker', 'The Ethiopians', and all of the great Ska, Blue Beat, Tonic, 2Tone and Reggae bands, Looney Toonz are quite simply a venue filling band that may soon be closer to you than you think, with tours of Germany, Ireland, UK and Spai ... n in the early planning stage. 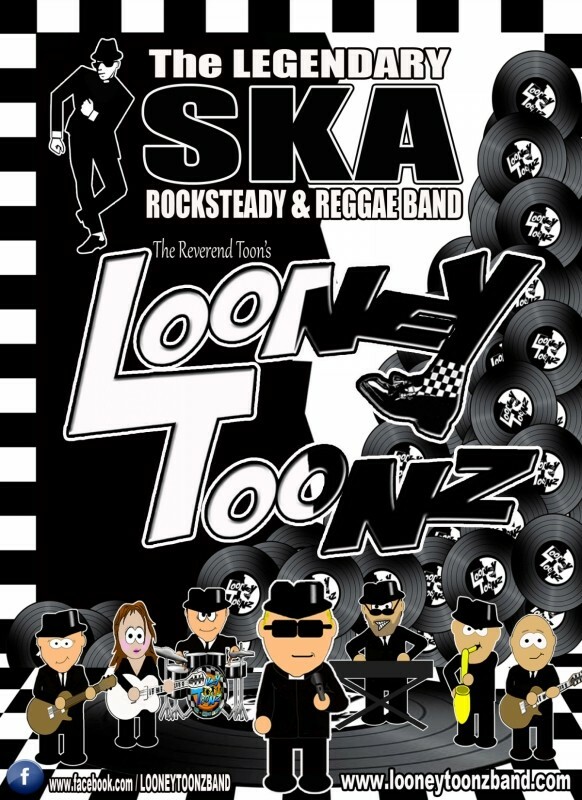 2014 will see Looney Toonz writing/performing original music and touring, but rest assured, the great classics will still be a huge part of their unforgettable 'Live' sets. 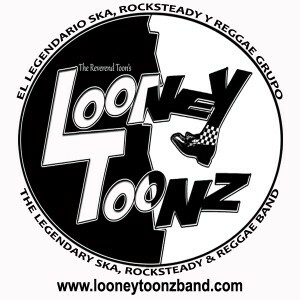 If you're a fan of Ska, Rocksteady and Reggae, join thousands of others and become a fan of Looney Toonz. The sheer energy of their performance is guaranteed to have you hooked, their live delivery of your favorite tunes is unforgettable. Join Us now on Facebook, Twitter, Reverb Nation, Youtube etc....simply click the relevant icon on this page. On these various sites you will find additional information, photos, videos and merchandise etc....we welcome you with open arms, as much as our strait jackets allow! Don't go Nuts.....Go 'Looney Toonz' !! Sherry Sound festival, Jerez, Spain. La Cala Music festival, Mijas, Spain. Wedding Reception Entertainment Birthday Party Entertainment Private Parties Corporate Events Cocktail Receptions Christening Entertainment Product Launches Trade Shows Christmas Party Events Festivals Rallies and Fiestas etc.